Mumbai Live exclusively got in touch with the dance group to find out more about their journey, passion, interest, and vision. India has many dancers or groups which pay a tribute to the legendary performer, Michael Jackson. 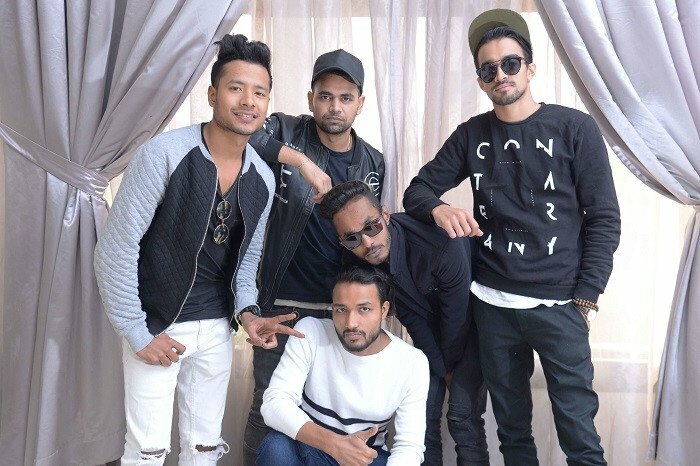 But if there is anyone besides Tiger Shroff who aces the skills is the popular dance group, MJ5, who won hearts of many by performing and offering one of the most different acts on Indian television. It all started a high school, college rivalry, where we competed against each other for competitions, and eventually became a group. All thanks to the competitive air in Delhi, back then where our skills matched and today we are a family. We live, spend time, travel a share a big part of our lives with each other. Himanshu, Vishnu, and Rohit were my first students, says Kartik, who started the group, and that is how we came together. Dennis joined us later, and he is one of my oldest friends. All of us come from different parts of the country but now live in Mumbai. For the first time we went on the stage, we were nervous, but we were confident of our skills. All we wanted to do, is perform, and entertain, but offering the audience and judges something different every time. But when we were announced the winners, we could not believe it. It took us some moments to realize that our efforts were paid off. All thanks to the judges for helping us and making it work. In fact, it was Geeta Kapur (Geeta maa) who asked us to make our every act different, and that's how we ensured we have a new moonwalk always, which has now become a signature for MJ5. When we did competitions and dance reality shows, we came across many dance groups who ensured they work really hard, only to entertain and get good remarks. All those groups and such formats inspire us. We make sure that our choreography makes a mark always. Besides this, a lot of credit for our success goes to Geeta Kapur, Remo D'souza, and Terence Lewis, who always pushed us beyond what was possible, and today we are known for that. They identified what we could do, much more than what we believed. We want to ensure that we train and teach people who are very keen on learning dance, professionally, but cannot afford it. We are currently planning some workshops around the city where we will bring the talents together and groom them. Besides this, we are also very active on YouTube and wish to teach people with videos and vlogs. Our aim is to cater to the dreams and passion for people who want to make it big and have a career in dancing. Besides, this we want to do the world tour and choreograph for Bollywood films.